Home to Saola – an endemic species once thought to be extinct – and host of noteworthy, abundant biodiversity, Vietnam’s Central Annamite forests are constantly threatened by human activities, such as illegal logging and poaching. Within the framework of CarBi (Carbon & Biodiversity) Project, partly sponsored by HSBC Bank (Vietnam) Ltd. since 2015, WWF is joining force with the local communities to maintain safety for wild animals and a balanced, healthy ecosystem for these forests – a natural treasure of Vietnam. 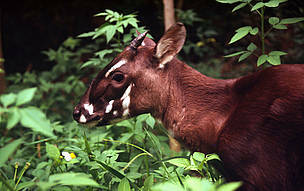 CarBi Project is amongst WWF-Vietnam’s initiatives to establish green corridors and connecting habitats in Vietnam’s Central Annamite, home to the “Asian Unicorn” - Saola. In 2015, HSBC Bank (Vietnam) Ltd. becomes a co-sponsor for the project, advancing the protection of a continuous biodiversity corridor in the region. The project focuses on community engagement, raising awareness on the long-term importance of protecting the forests in sustaining local livelihoods. With participatory approach, engagement activities promote the locals’ role in ensuring sustainability of the conservation works’ outcomes. Selective community members are also trained and employed as forest guards, who would go patrolling to remove snares and working to prevent threats to the wildlife in the area. One exemplary case is the story of Nguyen Huu Hoa. Once participated in illegal forest exploitation in his younger days, Hoa is now, under CarBi Project, a forest guard team leader of Thua Thien Hue Saola Nature Reserve (NR). 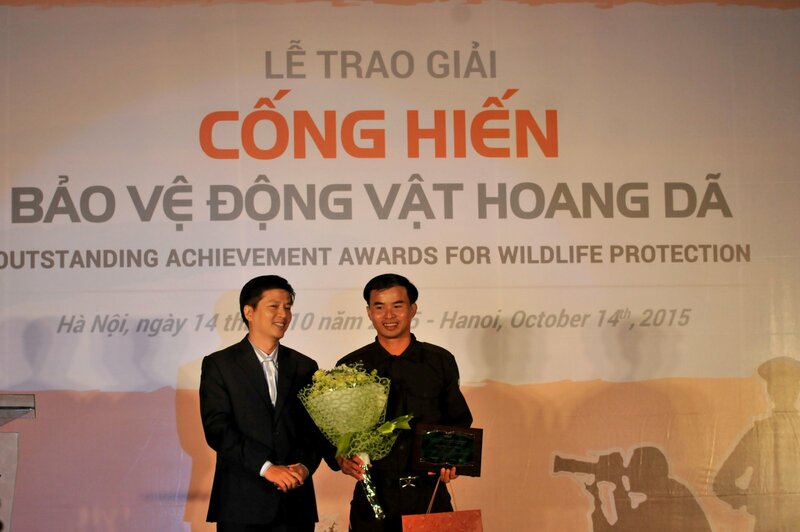 With his dedication, tirelessly patrolling the forests despite dangers and challenges, Hoa was recently awarded by Environment of Vietnam (ENV) for Outstanding Achievement in Wildlife Protection. With project’s support, the local communities have become true heroes of the Central Annamite forests, protecting and learning to use them more sustainably for their livelihoods. 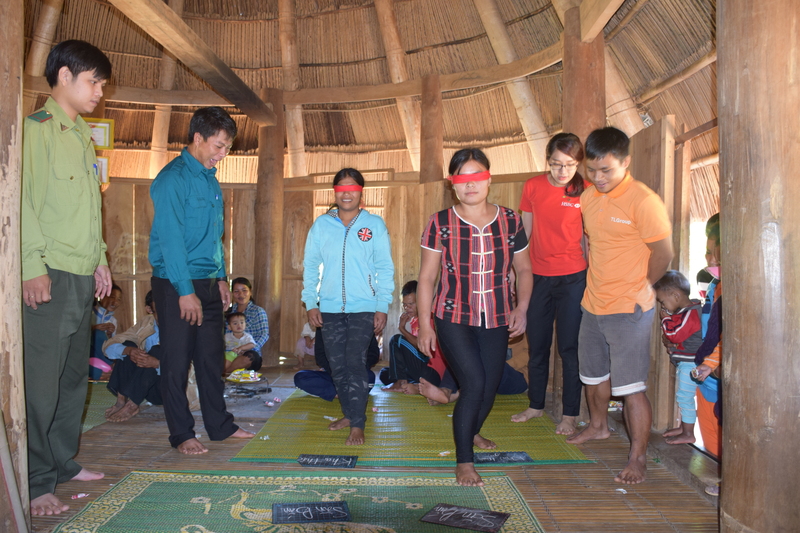 Early December 2015, 15 staff from HSBC Bank (Vietnam) Ltd. visited project sites and, in two groups, volunteered in “Forest Patrol” and “Community Engagement” activities, together with the local “forest heroes” at Quang Nam Saola NR. “Participating in these conservation activities, our volunteers deeply appreciated and admired the enthusiasm and dedication of all the members and management board of the project, the forest guard team and Quang Nam Saola NR staff”, Ms. Tran Ngoc Anh Thu – Sustainable Development Manager of HSBC shared. Saola or Vu quang ox (Pseudoryx nghetinhensis); Hanoi, Vietnam. Nguyễn Hữu Hoá, cán bộ bảo vệ rừng dự án Carbi, WWF-Việt Nam, tại KBT Sao La, Thừa Thiên Huế nhận giải Cán bộ thực thi pháp luật xuất sắc. 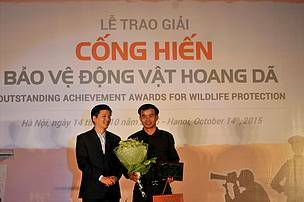 / Nguyen Huu Hoa, Carbi's forest guard win the Outstanding Achievement Awards for Wildlife Protection.